At only 19 years old, indie pop singer-songwriter Conan Gray has truly taken the Internet by storm with his undeniable bedroom pop charm. In 2013, Gray posted a spontaneous YouTube video titled “Let Me Introduce Myself.,” which became the solid foundation of his interesting life as a public figure. With his humble upbringing in the small town of Georgetown, TX, Gray experimented with Garageband and makeshift microphone setups at the beginning of his illustrious music career, which eventually led to the release of his well-received 2018 debut EP, Sunset Season. Three productive months later, Gray is now sharing his comforting new single, “The Other Side,” a heartwarming tune about persevering through tough times together. Written as as a special tribute to his closest friends in 2016, “The Other Side” sees Gray reflecting on his cherished experiences with the people he holds very dear. Layered with hazy choruses and pleasant strumming, “The Other Side” features Gray’s soaring vocals as he discusses the hectic period of time before his final year of high school. At the time, Gray suggests that dark eye circles and watching the clock tick are characteristic of his near future as he completes yet another year of tedious schooling, but he has faith that everyone will persevere with vivid successes. 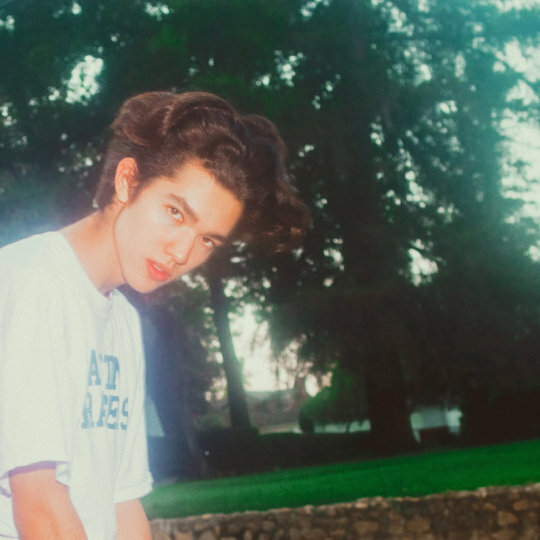 Visit Conan Gray’s world of sweet bedroom melodies with “The Other Side” below and stay tuned for our “All Eyes On” performance and interview coming soon!